Another mushroom hero was King Arthur of Camelot. Arthur pulled the Sword from the Stone, founded the Knights of the Round Table and made the Quest for the Holy Grail. All three of these legends actually refer to stages of the mushroom. The mushroom begins like an egg or a small white stone which pushes and wiggles upwards like a snake. This is the Sword in the Stone stage (Sword is “S-word,” snakes/serpents, in the stone). Then the mushroom cap opens up and flattens out making a perfect circle like a round table top – the Round Table stage. Lastly the edges of the mushroom upturn collecting the mushroom juices and dew, the drinkable “blood of the gods.” This is called the Holy Grail stage and looks/acts just like a cup. At the Vatican there is suspiciously a gigantic statue of a pinecone in the Vatican “Court of the Pinecone.” On the Pope’s staff there is also a pinecone depicted right at the height of his third-eye/pineal gland. 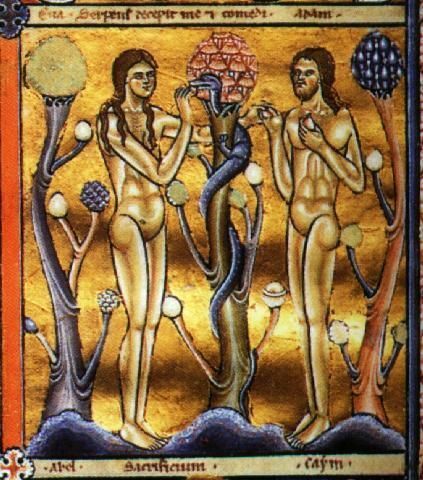 Ancient Sumerian gods were always depicted feeding men pinecones, just as the Egyptian gods were so often depicted feeding men the “ankh.” Because of their seedless growth / germination pattern, mushrooms were considered “virgin-births” by the ancients. They believed the mushrooms arose from dew, the divine fluid that magically appears at dawn. They also correctly believed the Amanita to be the “fruit of the tree” and referred to them as such.